Our school is currently working on our Green School flag for transport. We are in our first year of the process. 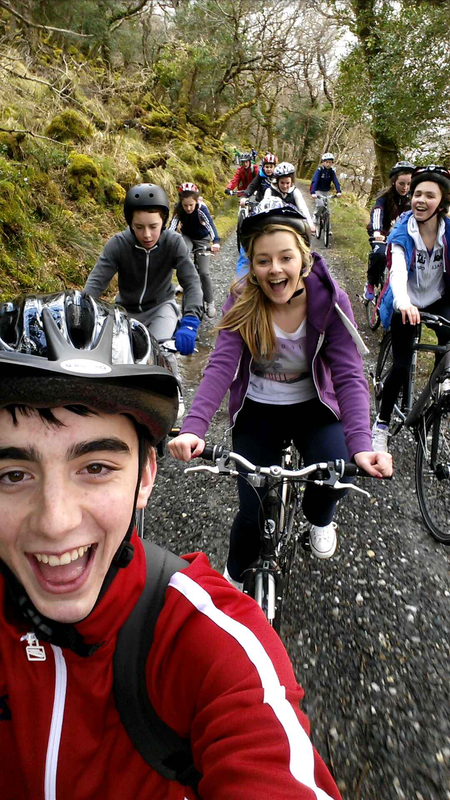 Recently on April 8th over 70 students and teachers went on a cycling trip to Glenveagh National Park. This was the first cycling activity outside the school. Over 30 students brought their bikes to school that day. We cycled over 25km that day and everyone had a great time. We aim to start a cycling club in the school in September due to the success of this trip. Thanks to Mr Curley, Ms O’Connor, Ms Cotter and Ms McGettigan for organizing this event. Jimmy McVeigh from an Taisce / transport officer, also went cycling with the group and gave out spot prizes to the students. Last May 2013 students completed the application for the water flag within our school. Well done!